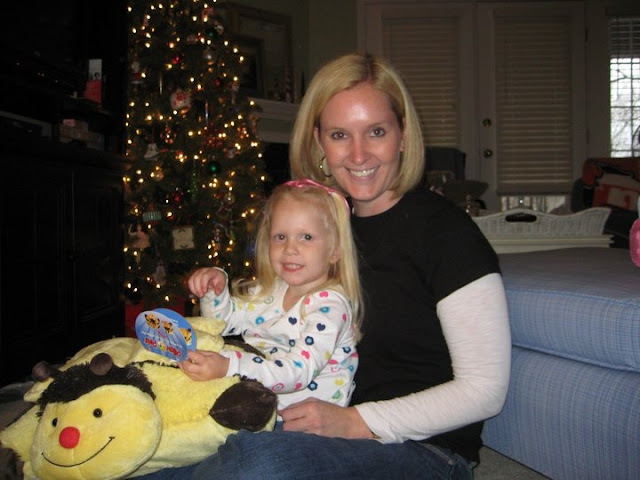 I can't believe the last blog entry I posted was on December 8th! We've been busy with finalizing work details, finalizing fundraiser plans before year end, attending holiday recitals and parties, spending time with friends......and that was all before we headed out of town for a long vacation with both our families! But, we're getting back on track, preparing for the new year. Baking Christmas cookies with daddy back home in frigid South Florida. Visited my best friend from high school, Laura, and her daughter and husband. 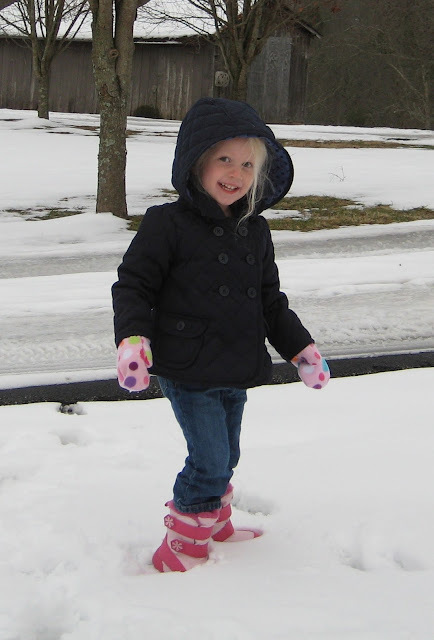 Enjoying the beautiful snow on the farm in Eastern Kentucky. Keeping this next picture small as it's a horrible picture of me (another whole blog post as to why this will be the only time you get a profile picture out of me)! Notice the surprise on my face (and my father in-laws laughter) as I'm surprised with a brand new, gorgeous (and large, I might add) strand of pearls!! I was/am so excited!! Love them. I then proceeded to take my Husband for everything else he's got with the cowgirl present Aunt Jess got Lallie. Grandaddy and Lallie going to feed the cows. Husband and Brother-in-law, Patrick and their snowman! We were also with my parents, but only for a couple days as we had just spent a week with them in Apalachicola for Thanksgiving. So, I didn't get many pictures there unfortunately. Also, as one of the highlights of Christmas, I was asked to be a bridesmaid in Patrick and Jess' wedding in May! Husband as best man, Lallie as one of the flower girls, me as bridesmaid. The entire immediate family on both sides will be taking part, so it will be a very special occasion! I am SO looking forward to playing blog catch up and finding out what all of YOU did this December! I'll be commenting! I can't believe my baby girl is getting so big! Well, big as in age. You'll see that she is quite tiny as she is the smallest of the four three-year olds in her class. I have to apologize for the video, I was shaking so hard because I was trying not to tear up so I could see my baby girl dance. 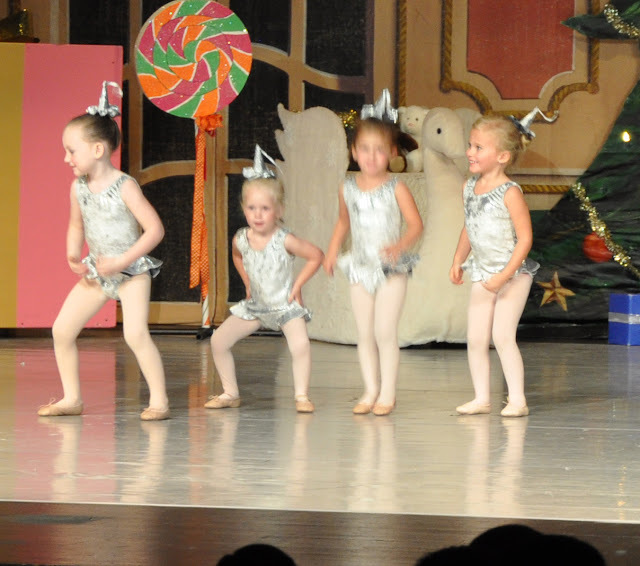 I mean, seriously, I was teary-eyed at all the little tiny dancers, they were all SO cute!! I'm not quite sure what they were supposed to be dressed up as, it look sort of like a Hershey's kiss costume. 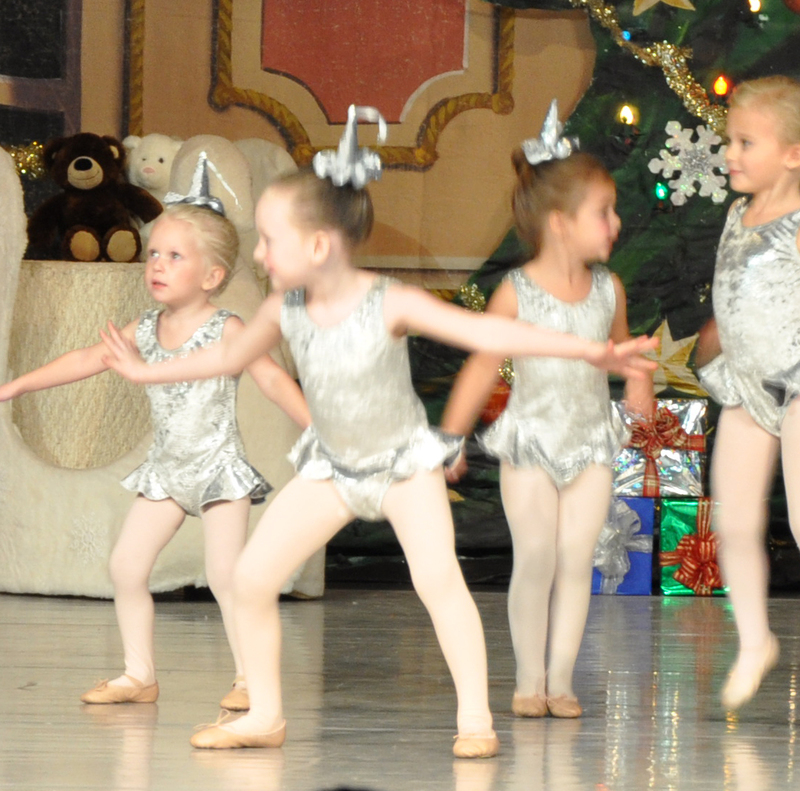 They danced to Little St. Nick by the Beach Boys and I could just watch this over and over again with a big grin. 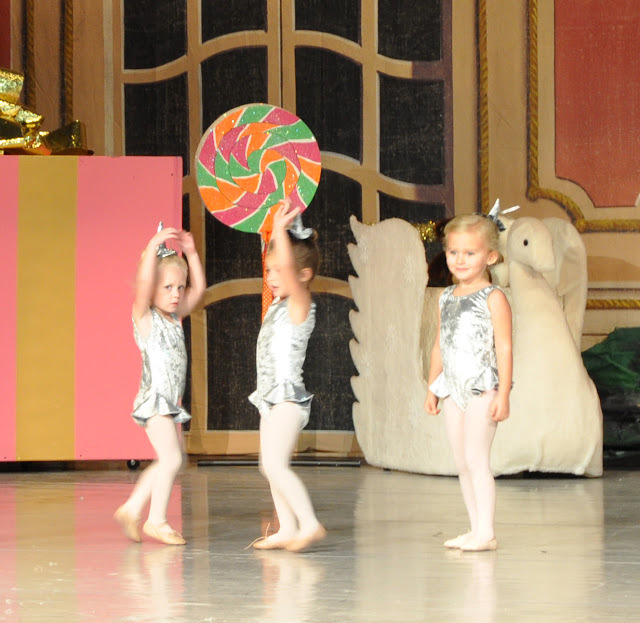 Busy, busy but I have so many wonderful things to tell you about from this weekend, including Lallie's FIRST Dance Recital!!! In the meantime, there are a few items, including Lilly back up for grabs on the blogsale (Click on the link)! I do ask that if you say you want to buy something and state you will buy something, to please actually pay for it after I invoice you! It would be greatly appreciated. Thanks a bunch!! 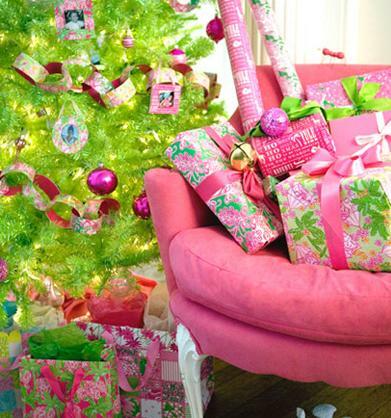 I doubt that an all pink Christmas tree (meaning, the actual tree itself) will ever fly in our home. I believe that is where Husband would draw the line. However, I am determined to have our second tree adorned in pink, green and Lilly goodness by next year. Here are some of the things I plan on having for that tree. 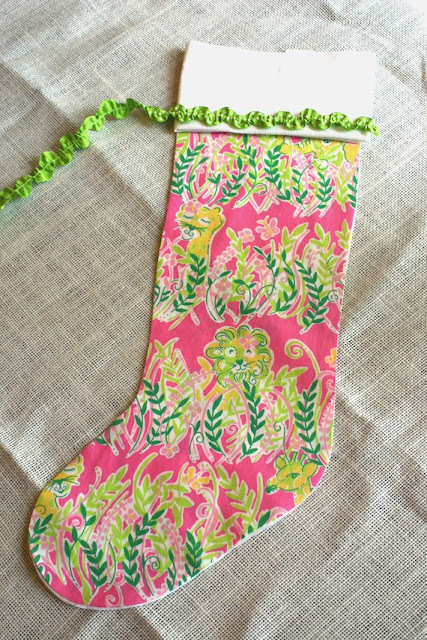 I JUST purchased a coveted Lilly Christmas tree skirt for an unbeatable price off of Shopaholic's Preppy Closet and I cannot wait for it to get her. Though, it may just have to stay packed away until next year. Now y'all know how much I LOVE Etsy. Forget the mall, give me some money and I could seriously do some damage on Etsy and make a few shop owners very happy campers indeed! 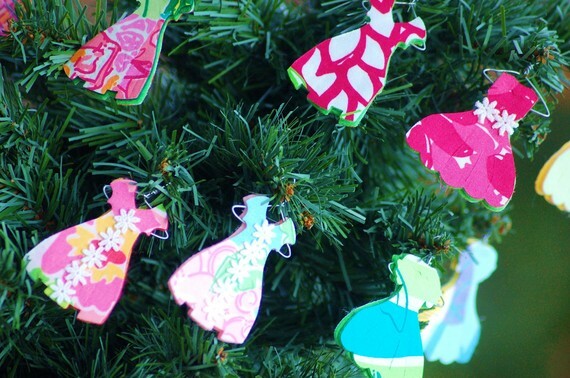 Here are a few of my favorite Lilly inspired shops that would get that money when I go shopping for my pink and green tree. 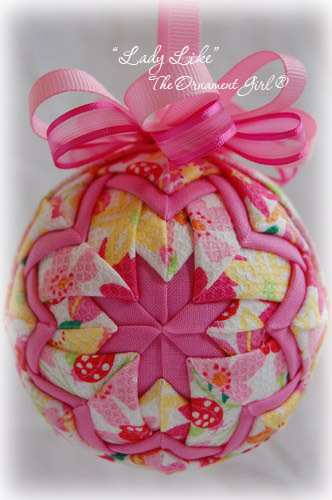 How cute is this pillow from My Pink and Green Garden? She has loads of different pillows all trimmed out in pink Lilly goodness and I think this would be a very pretty touch on the couch in the room where I would have the Lilly tree. She has "love" and "peace" as well. In true southern style, I love anything personalized with a name or monogram (as long as it's not TOO over the top). Seriously y'all....one monogram per outfit. Your shoes, shirt, bag, headband and earrings don't all have to be monogrammed. Moving off my soapbox and back to the tree. How cute are these personalized ornaments from Home Lush? For a little extra umph and since I do live in south Florida near the beach, I think I would open this up and fill it slightly with some sand and tiny seashells. Very Lilly-esque don't you think? 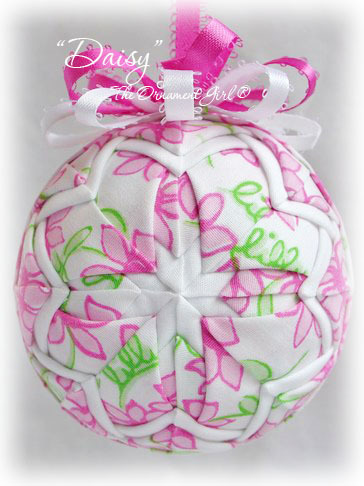 One of my favorite shops is Looking 4 Lilly. She has some of the most adorable, unique and reasonably priced Lilly inspired items out there. I love the different sets of ornaments she is selling. My other favorite shop is LWhelan designs. 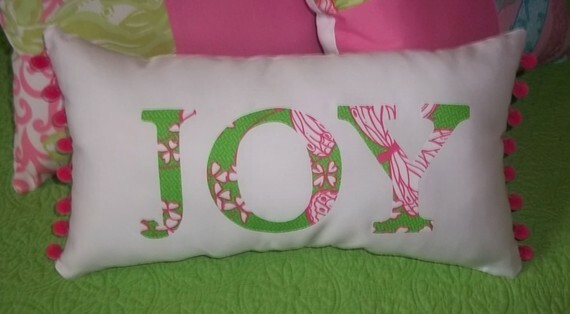 I have some Lilly inspired pictures from this shop that I absolutely adore and are in my pink/green guest bedroom. I love them and can vouch for LWhelan. Look at these lovely stockings that she makes. Some with my FAVORITE Mommy and Me Lilly fabric. I just love the little monkeys, so cute! 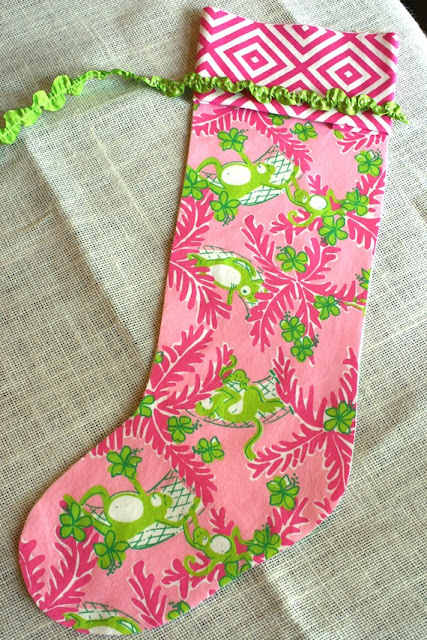 What about the Millionaire's Row stocking? Very cute! The following ornaments aren't from Etsy, but I ran across them in my search last night and they accomplish two things in my opinion. 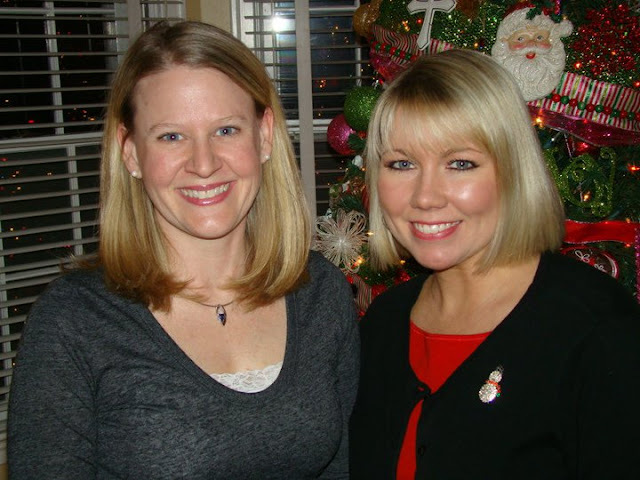 Christmas and southern classic. Aren't they gorgeous? They are from The Ornament Girl. Do you have a pink tree? How is yours decorated? Email me at slpreppy@gmail.com if you are interested! First up, a Lilly Pulitzer Paloma Poncho. Size Small/Medium. I love this but the poncho just isn't me. I only wore it once. You can still see some of the creases from the bag it was shipped in! This baby retailed for (I think) $295.00? Black and White Sweater Material with decorative and trim at the top. J. Crew Pixies - Size 2 - SOLD!!! Remember these last year, they were all the rage (skinny, thick riding leggings)! Well they are again and I just don't wear them because they are a little too warm for me down here. I wore them a few times but they are still in perfect condition! I don't normally hang them like this! This was just for the picture. Adorable zebra print pink and white cowl neck top. Retailed for $165.00 and is new with tags. The next two items I'm selling as a set. NWOT J. Crew Tank Top and Cardigan. SOLD!!! Dark gray and light gray. The cardigan is lightweight and very soft. I bought them, removed the tags to wear them one day and immediately took them off. I'm just too pale for light gray. Very cute with a skinny black belt as professional or without with skinny jeans. Wore once. One of them is missing one of the "thingys" (for lack of better words). Bought for $88.00. Will come with the shoe protector drawstring bag. Tibi Dress Size 0. - SOLD!!! Stunning all black dress, retailed for over $300.00. Worn twice. 100% Lyocell and has two gold buttons as detail and the top knot is satin on the back side. Perfect with thin leggings and either boots or TB flats and great for winter as it is a heavier material. I will be having a blogsale later, so I brought the other camera, the "good" Nikon D90 to work to get the pictures off and discovered some more Apalachicola pictures. I'll put up the blogsale later, but in the meantime, check out our view of the bay in St. George Island? I could sit there all day and just take in the view. It is just so relaxing and serene and whether you're on the screened in balcony or down on the dock....even in the swings below, it's just a stress free environment. Here is the main living area inside the house. It also had a full kitchen, dining room/sitting room, another sitting room, three bedrooms, three bathrooms, full laundry room. 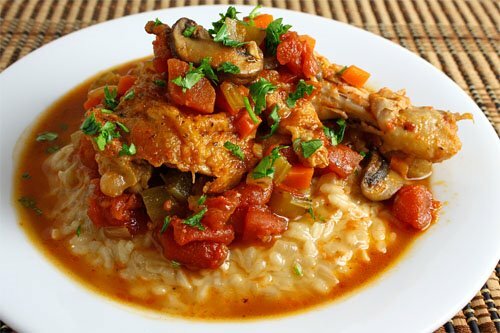 I mean the works! Lallie and I were hiding from Daddy, we did not want our picture taken! We'll be spending lots of time there in the future, I think Lallie is going to think of this place as another home. Here, Kentucky and Apalachicola!